Guy Sorel had many supporting movie roles and TV parts. He starred in nearly 40 episodes of the CBS Radio Mystery Theater. Guy Sorel was born on August 12, 1914 in Paris, France. He was an actor, known for The Honeymoon Killers (1970), The 13th Letter (1951) and Shame of the Jungle (1975). 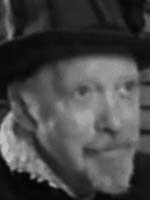 He appeared in Mayflower: The Pilgrim's Adventure tv show He died on April 5, 1994 in New York City, New York, USA.